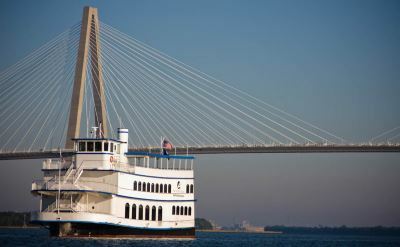 A harbor cruise is a great way to see Charleston, SC. Sail by Fort Sumter, the Battery, the Arthur Ravenel Jr bridge and other sights. The city is surrounded by water so a day cruise is a natural way to tour. 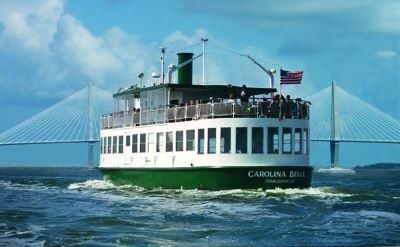 The Carolina Belle offers daily tours and private group charters on the Charleston harbor. Fully narrated tours. This is the oldest continually operating harbor sightseeing tour company in Charleston. Spirit Line harbor tours depart from Aquarium Wharf or Patriot's Point. 90 minutes. See sights such as Fort Sumter, USS Yorktown aircraft carrier, Battery Point, and the Cooper River Bridge. The Schooner Pride is a sailing tall-ship. 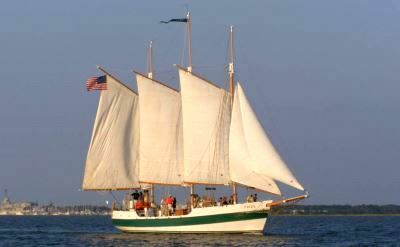 Join them for a daily sail of the Charleston harbor or a romantic sunset sail. The sailing tours are two-hours. The ship sails with the winds and there's no fixed course. 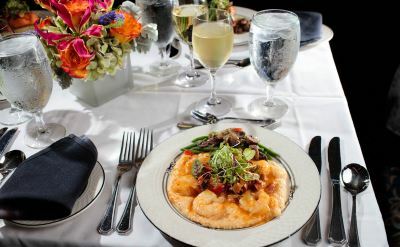 Dinner cruises on the Spirit of Carolina are a fine way to enjoy a unique meal. Dinner cruises include food, live music and the great views. Full service cash bar available. No smoking. 7:00pm to 9:30pm, departing from Patriot's Point Naval Museum in Mt Pleasant.